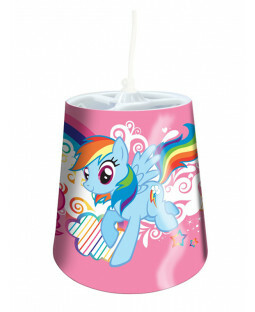 Light up your child’s bedroom with a light shade from Price Right Home. We’ve got all your little one’s favourites in a range of eye-catching designs – ideal for a themed bedroom. Light shades are simple to fit, with an ‘easy hang’ system. And with free delivery on all UK orders, we make it light work, giving your little one the room they love. Character light shades add the perfect finishing touch to any bedroom. Disney Frozen light shades feature Elsa, Anna, Olaf and friends, and come with patterned edges to reflect pretty shapes on bedroom walls. 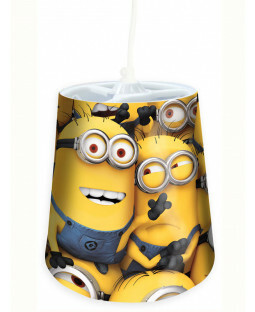 The Despicable Me Minions light shade stars all the fun-loving creatures in a hilarious design. Our Star Wars light shade guarantees your little one never sees the dark side. Other character light shades include Teenage Mutant Ninja Turtle light shades, Finding Nemo light shades and Spiderman light shades. Footy-mad little ones love our Football light shade, and they’re easy to assemble - meaning you’ll love them too. Light shade and Kool Lamp two-piece sets give your child a comfortable night’s sleep, available in matching designs. Kool Lamp bedside lamps remain cool to touch, and keep the bulb covered with plastic panelling for your peace of mind. Moshi Monster lighting sets include your little one’s favourite cartoon critters, and the Hello Kitty lighting set features a cute cat design. And our 110% Price Beat Promise means we’re shades ahead of the competition!